It’s no surprise that transportation methods are changing right before our very eyes. Less than a decade ago, few would have envisioned the success that Uber and Lyft have enjoyed or the way their ride share apps have revolutionized urban mobility. Companies like Amazon are using these same mobility solutions to aid cargo delivery while many other cutting-edge transportation methods are in development. 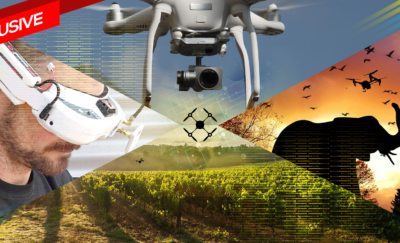 From drones to bicycle-sharing programs, to self-driving cars, the future of mobility services is anyone’s guess, but one thing is certain…major changes in the methods of transportation are on the way. The challenge is not only predicting which mobility solutions will stick, but also trying to determine how fast our routine methods of transportation will change. Some experts anticipate more of an incremental and gradual change in mobility solutions while others believe a more radical shift in transportation methods will take place. And still, others are hedging their bets by investing in a variety of options. While the fog surrounding the future of mobility’s landscape has yet to clear, we offer some insights about what tomorrow’s transportation methods might look like by examining some of today’s most innovative firms. The automotive industry is over a century old, and the freedom, privacy, and flexibility this mobility solution provides remain attractive. But that doesn’t mean our traditional method of transportation isn’t without its downsides. Massive growth in urban centers throughout the world has placed a spotlight of major issues involving traditional mobility services. In addition to pollution and traffic, the sheer cost of the transportation infrastructures needed to support existing vehicles exceeds space availability and financial resources of many cities. With urban density expected to reach 66 percent by 2050, it is clear that new mobility solutions will be needed. Of course, pollution and traffic are not new, but the array of transportation method technologies that make change both possible and inevitable certainly is. Today, more than half of all smart phone users employ Google maps to help them navigate their environments, and data analytics and integrative systems reflect mobility solutions that are already fueling traffic management, public transit routing, and autonomous cars. Better mobility systems are evolving as we speak as a result of the opportunities that these new transportation methods are providing. Urban constraints and technological advances in transportation methods are powerful influencers, but perhaps the most notable driver for new mobility solutions is the consumer. When the automotive industry began, the nation was a product-based economy. But this soon gave way to a preference where transportation methods needed to provide an array of services to satisfy customer cravings. Today, we have now entered an experience-based economy related to methods of transportation. Your BMW might offer prestige, power, and comfort, but it does little in helping you avoid traffic, find a parking spot, or ensure you arrive on time. Tomorrow’s transportation methods will be much different from those of past generations. Currently, many Millennials prefer not to be bogged down with the upkeep, payments, and insurance coverage associated with a car, especially when affordable mobility solutions like Uber and Lyft exist. In urban environments, additional methods of transportation like bicycle-sharing, public transit, and even pedestrian travel are often preferred. Why? Convenience. In fact, convenience is becoming more important than cost as the holistic end-to-end transportation journey becomes the primary focus. When thinking about Mobility-as-a Service, several key features are notable. The mobility solutions most likely to excel will be those that are customer-centric, flexible and customizable. 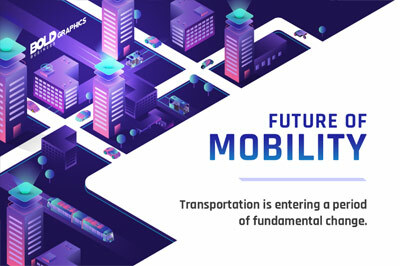 Not only will we want mobility solutions that get us from one place to another as quickly as possible, but we will expect these methods of transportation to serve many other functions in a Mobility-as-a Service framework. Some might be entertainment based, others might allow us to be more efficient in our jobs, and others might be related to safety and security. The potential experience transportation method offerings are endless when it comes to a Mobility-as-a Service perspective. Instead of making dinner reservations and driving (or even ride-sharing) to a restaurant, a restaurant might provide Mobility-as-a-Service options as part of its rideshare app on your smartphone. The same offerings might be provided as a mobility solution by your doctor’s office, your health club, or a variety of retail stores wanting your business. Not only would you avoid having to drive or call an “Uber,” but you would enjoy the convenience of being able to schedule your methods of transportation from a single application. In addition, you could place your drink and dinner order, reserve a treadmill, or see what’s on-sale during your transit! With the automobile industry generating revenues in excess of $2 trillion in the U.S. each year, you can imagine the competition to be a Mobility-as-a-Service leader of tomorrow. Many companies are putting their best foot forward in these mobility solutions, so to speak, but it remains to be seen who will come out on top given that transportation methods have been heavily regulated sector. Regardless, here are a few firms that are certainly worth noting. The company that seemingly started it all has yet to let up on the gas. In addition to its ride-share app services, Uber now offers other transportation methods that range from carpools (UberPool) to food delivery (UberEats) to freight cargo delivery (UberFreight). But that’s not all. Uber recently purchased Jump Bikes, a ride-sharing app service for electric bicycles, and it has partnered with other mobility solution companies to provide peer car-sharing rentals and mobile payments for public transit methods of transportation. In essence, Uber is investing in every possible method of transportation as part of its all-inclusive Mobility-as-a-Service in an effort to be a market leader in mobility solutions. And of course, Uber’s investments in self-driving vehicles will further its efforts in this regard. For many industry experts, it’s hard to fathom mobility solutions without at least some of the automotive giants still around, and indeed, several are making notable shifts in strategy when it comes to new methods of transportation. For example, General Motors has partnered with Cruise Automation out of San Francisco to develop its self-driving, electrically-powered, Chevy Bolt. Likewise, GM has been a longtime investor of ride-share app company Lyft to serve as a testing field for these self-driving cars. Given the manufacturing capacity available, GM could be a major player in the Mobility-as-a-Service market. Of course, GM is not alone. Ford Motors and Jaguar (Tata Motors) has also partnered with Lyft to test their self-driving cars using ride share app services and an All-Access Subscription model. Ford has been investing heavily in smart vehicles, digital interconnectivity, data analytics, and user-designed mobility solutions. Ford’s vision is to provide a more comprehensive Mobility-as-a-Service system for customers that integrates all types of transportation methods. Other companies, including Audi, Volvo, Daimler and BMW, are expanding on-demand ride-share apps within their vehicles to facilitate mobility solutions as well. With big money to spend, and many startups that could be purchased, you can expect some of the major transportation industry players to be top competitors in the Mobility-as-a-Service arena. Tesla may have started this trend, but today, a number of Mobility-as-a-Service players are competing for the high-tech stakes of future methods of transportation. Let’s consider a few worth mentioning. Lime, a company that provides ride share app services with electric scooters, is getting the attention of both Uber and Alphabet as a means to expand rider mobility solutions. The Boring Company, another of Elon Musk’s mobility solution projects, is proceeding with experimentation of underground methods of transportation using autonomous vehicles. And Scotty Labs is an Artificial Intelligence mobility solutions company developing a remote-controlled program to manage self-driving cars. These are just a few of the recent entrants in the modern Mobility-as-a-Service sector. One notable innovative mobility solutions company was recently highlighted at the Consumer Electronics Show (CES) 2018. HERE Technologies presented its “mobility marketplace.” Using sensor-injected, high-definition maps that provide real-time updates and integration regarding traffic, road conditions, other vehicles, their mobility solutions can be added as a widget to any business’ app or website to provide access to an array of transportation methods. This epitomizes Mobility-as-a-Service because the virtual marketplace can be used by companies to attract customers and add value to their offerings. 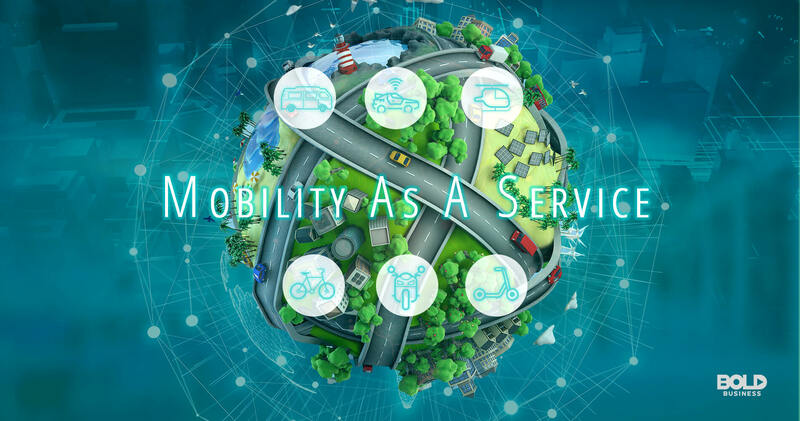 This mobility solution also has the potential to leapfrog many other Mobility-as-a-Service companies because of the integrative nature of its mobility solutions platform. As you might imagine, however, nothing gets past Google…after all, they are the information gurus! 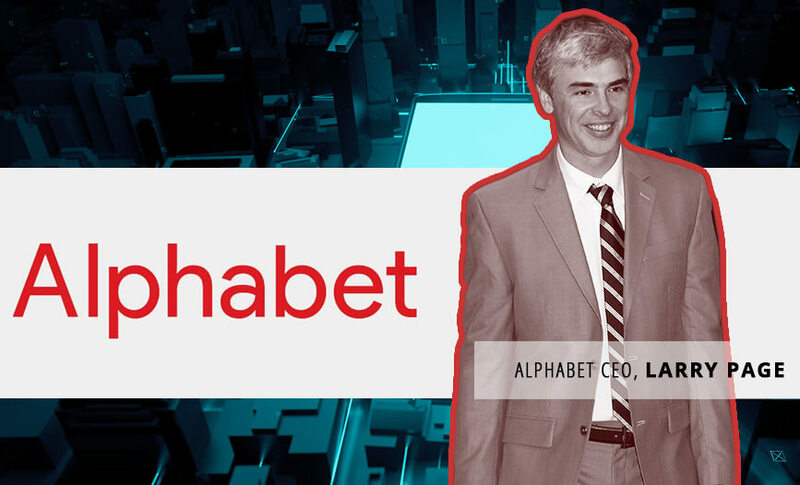 Alphabet receives recognition for its division developing self-driving vehicles as an alternative transportation method (Waymo). Likewise, Google maps (along with Waze which Alphabet acquired in 2013) provides the perfect Mobility-as-a-Service platform to integrate multiple transportation method data. But these are just the tip of the ice burg. In 2012, roughly 2 million people used ride share app services. By 2024, this figure is expected to be 23 million if not more. At the same time, Price Waterhouse Coopers estimates that Mobility-as-a-Service will be a $156 billion industry by 2022. Regardless of whether you believe these changes in transportation methods will be gradual or sudden, they are inevitable given social preferences for new mobility solutions and existing urban constraints. The companies that will rise to the top in the Mobility-as-a-Service sector will enjoy tremendous rewards. Existing mobility solutions companies, armed with resources and market presence, can realize such success if they are willing to consider new transportation methods. Others mobility solutions companies will likely appear out of nowhere displacing the so-called giants from their lofty heights. It still remains too early to tell who will ultimately be in the driver’s seat, but get ready…the ride should be interesting. Corwin, Scott, and Pankratz, Derek M. “Forces of change: The future of mobility.” Deloitte Insights, 2018. D’Onfro, Jillian. 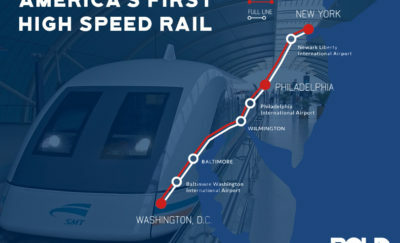 “How Google’s parent company is paving the way to become a transportation giant through deals and internal projects.” CNBC.com, 2018. Marshall, Aarian. “Uber’s new bid for dominance: Controlling every way you move.” Wired, 2018. Resnick, Jim. “The future of mobility.” Wired, 2018. Rosevear, John, Hoium, Travis, and Miller, Daniel. “The 3 Best Future of Mobility Stories of 2017.” The Motley Fool, 2018. Singer, Irit. “What Does the Future of Mobility Look Like?” HERE Mobility, 2018.